We have been discussing the definition of globalization and it’s impacts on places and people. What topics came back in your discussions? What are the main components of culture? It is the way of life of a certain group of people, it makes sense of the world. It can determine people’s attitudes towards issues and give them a sense of identity. The natural environment has an impact of people’s lifestyle and it turn culture. Cultural differences can create conflict. The source of a cultural trait is called a cultural hearth. But as we have seen, globalization results in a mixing of culture. In your groups, discuss: Have a consensus, one sentence answer for each question. How has globalization shaped the perspective of your identity? How are TCKs better prepared for today’s world? How can this be seen as a problem? The Kayapo indians of Brazil are a Native tribe that occupy a vast area of the Amazon rainforest. They have made contacts with the globalized world but are fighting to defend their culture and remain “unconnected”. There are about around 100 uncontacted tribes in the world today. Should the Kayapo be protected from Globalization? What are the risk fro them? For the world? Can you think of other examples of cultural traits that should be protected from westernization? What is the importance of language? What risks come from a language dying? 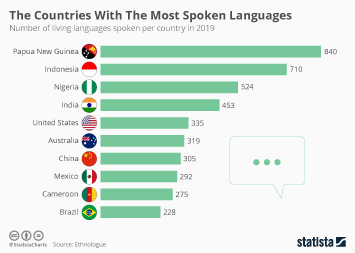 What are the benefits of fewer languages?